Yes, it's from Pokemon, 4th generation, to be precise. Here's our old friend Cyclocosmia ricketti from the identify that critter thread. This gecko looks a bit scary, but personally I think it is cute. Ever seen a Dead hairless sloth? 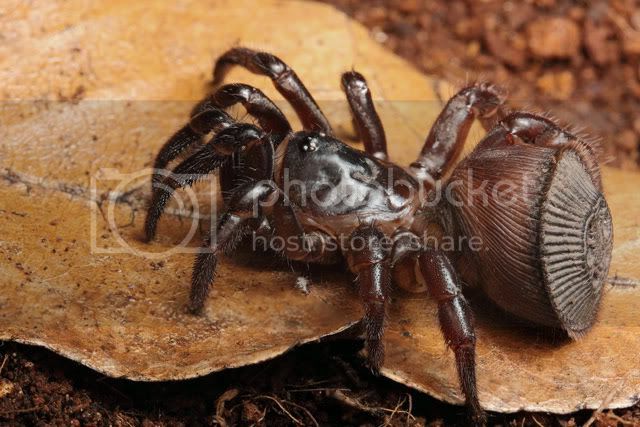 Large, fast-moving spiders, bees and their kin, any insect crawling on me uninvited, ticks, definitely ticks, fleas, leeches, lice, anything of the sort that lay eggs/larvae on living creatures. I actually really like snakes and I don't mind rodents, lizards, or most amphibians. Admittedly, Pipa pipa is not really among the most beautiful anurans. Really june bugs? The only nasty thing about cicadas (at least those of warm countries) I can think of is their call that can give you a headache. I was collecting dragonflies in the Kaokoveld, Namibia, in 1996 and the cicadas nearby were so loud I found it hard to concentrate. Well, I'm not supposed to dislike any animal species. But I think triatomine kissing bugs (those neotropical ones that are vectors of the Chagas disease). Our department has a parasitology study group that focuses on them (as far as I know they are rearing all species that are known as Chagas vectors, they are fed on chicken) and they are colourful but incredibly big for haematophagous insects. 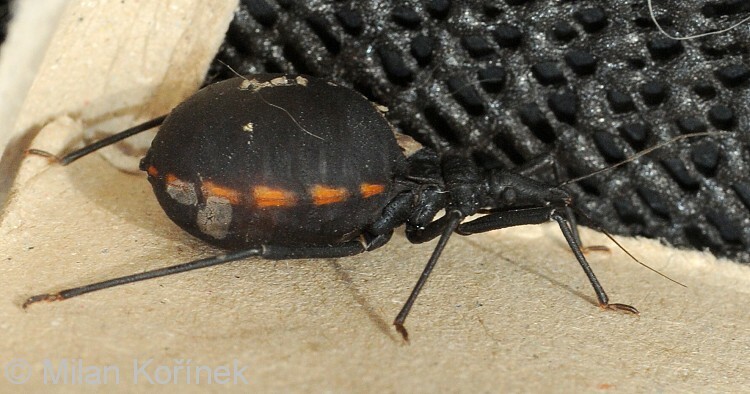 The photo shows a nymph with a swollen abdomen from its meal. Adults grow to over 40 mm and drink several ml of blood at once! I agree with the earlier posts about parasites. Last summer my chicken coop became infested with red mite. The thought of the hapless hens having blood-sucking mites crawling up their legs every night made my stomach churn. Any contact with the coop resulted in itchy hair and limbs and they were an absolute nightmare to eradicate. *shudder* You'll avoid the Cyclocosmia ricketti pictured above, too. Worst is when the surinam toad babies start to emerge. There are videos on youtube I think. I need to install the 'yuk' smiley! Hey!I luv animals of all shapes and sizes! No, no animals creep me out. Large crabs make me a little nervous, though. A blue crab punched a hole through the center of my fingernail once - it would have been pretty funny if it hadn't hurt so much. A stream of blood shot several inches straight up through the hole. I had a divot and a little round bruise under my nail for weeks. So now, I'm perhaps over-cautious when it comes to crabs. I think I've finally overcome a similar situation with red paper wasps. I got stung on the throat by one when I was a kid and it made me very leery of the things. Back a few years ago I was helping with a cottonmouth study. I was much more scared of the wasps we occasionally encountered than the pitvipers. Oddly, my phobia seemed to be specifically attached to the red, orange, or brown paper wasps. Yellow-and-black paper wasps, and all other wasps, bothered me not at all. I've made it a point to at least pretend they don't scare me, though, and it seems to have paid off. The fact that they're so awesome has surely helped. Is there any particular animal that you find personally disagreeable? Spiders? Snakes? Bats? Rats? They are the usual suspects. 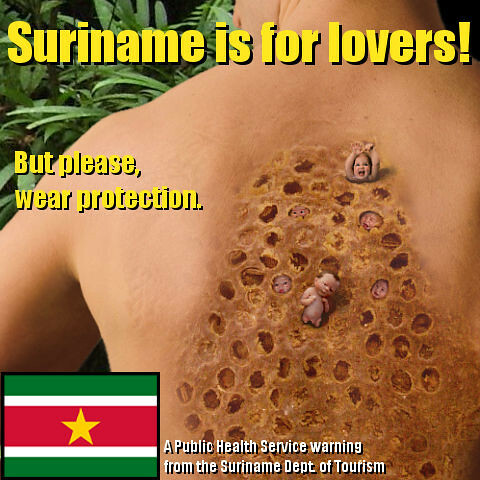 For me, just thinking about the Surinam toad makes my skin crawl. 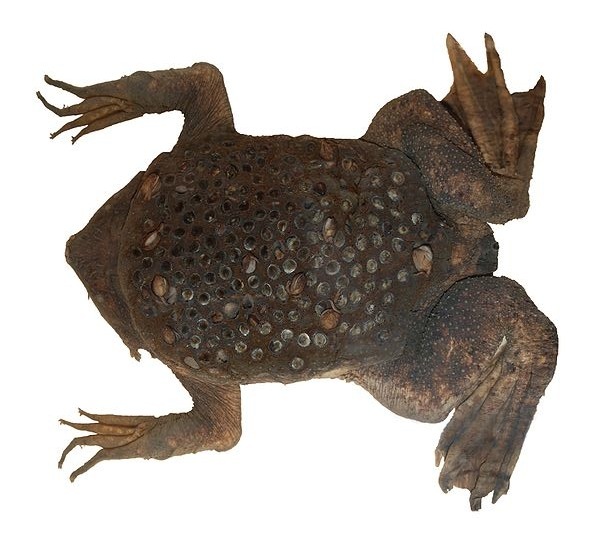 The Surinam toad's skin, of course, crawls literally, when its babies emerge from their little pockets. Fascinating, but urg! It's wasps for me. The reason being that when I was in primary school (aka kindergarten to some) a boy in my class had one fly into his ear, sting him repeatedly and get stuck! I think he had to go to hospital. Ever since then, me and my sister have both been terrified of wasps flying anywhere near our ears. My reflex action upon hearing that ominous drone is to cover my ears for protection! Incidentally, as you mentioned rats, I find rats to be pretty much the most adororable creatures on earth I've had 6 pet rats over the years and they make such wonderful, friendly and intelligent pets. 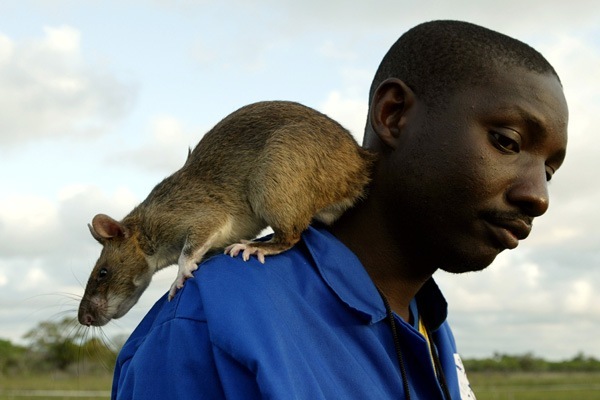 I'd love a giant pouched gambian rat. Anyone seen those before? That crab must have been very strong to punch through your nail! No wonder you are a bit wary of them now. I must try your technique of pretending not to be scared of wasps, to see if it pays off for me too! Yeah, crab claws are powerful! They crush molluscs with those things; a fingernail is no barrier. I deserved the crab pinch, though. Where I grew up, there are no crabs, but plenty of crayfish. If you grasp a crayfish's body properly, it can't reach you with its claws. So I picked up this crab by the rear of its body, foolishly assuming that it also had a convenient handle I could hold it by with impunity. In retrospect it seems obvious: if you don't want a crab to pinch you, hold it by its pinchers. Re: wasps - fake it 'til you make it! I petted a paper wasp today. Soon you will too! Wow, yeah I suppose they must be strong to crush molluscs. Fingernails don't stand a chance! You PETTED a wasp? How? did it just sit there and let you? Amazing!